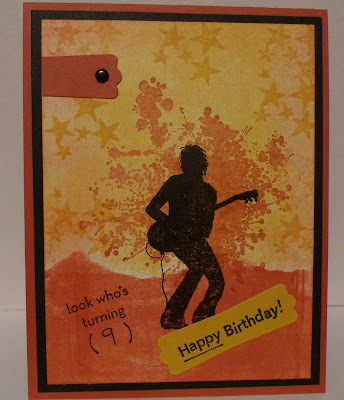 My son had his 9th birthday Friday and this was the card I made. This is my favorite stamp set for boy birthday cards. The stamp set is called Extreme Elements and the guitar stamp is called Extreme Guitar. 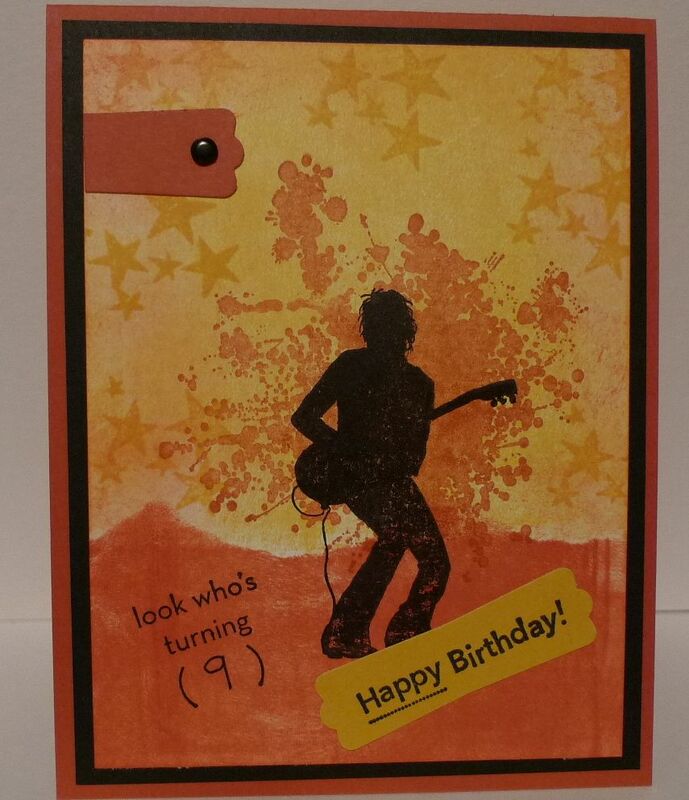 The background was created with a brayer. I used Crushed Curry ink and my brayer to cover the top part of Whisper White card stock. I took a piece of scrap paper, tore the edge and covered the Crushed Curry side. Dusty Durango ink was brayered on the rest of the Whisper White card stock.